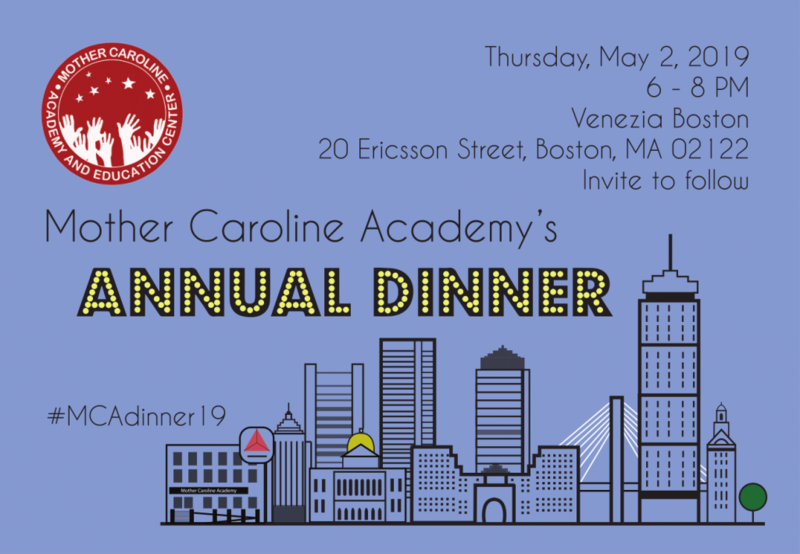 We are looking forward to our Annual Dinner on Thursday, May 2, from 6-8pm at Venezia, 20 Ericsson Street, Boston, MA 02122. The short program will highlight new programs at MCA, started this year under Annmarie Quezada’s leadership. Old Town Trolley transportation will be provided from Back Bay if needed. Our students are so proud of their artwork, their chorale work, their spoken word/poetry and we are looking forward to offering this glimpse of the arts at MCA! 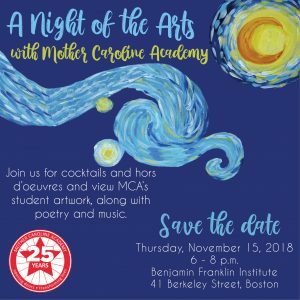 Please join us on Thursday, November 15, at The Benjamin Franklin Institute, 41 Berkeley Street in Boston’s South End for cocktails and hors d’oeuvres. Click the image below to link to tickets and sponsorship opportunities. Our first Friendraiser! Come learn about MCA and invite your friends! Drinks and appetizers in a garden setting (or inside in inclement weather.) Please join us on, Thursday, September 20th, at Bowery in Lower Mills. Click on the image below to link to tickets and sponsorship opportunities.